Synopsis: Have you ever felt that some of the most important things in your life were out of control? Have you tried to deal with these issues, people, and situations through your own abilities? Has that worked for you? 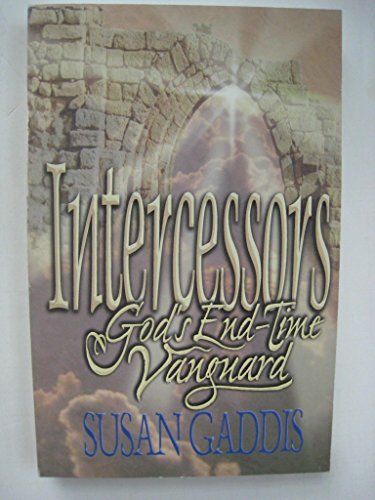 About the Author&colon; When asked what she does, Susan Gaddis replies, "I help people build their spiritual legacies. I mentor them in life skills that translate into an intentional walk of faith, which will pass on, like a baton, to family, friends, and co-workers. Those individuals can grab hold and run with this legacy now and long after the believer's portion of the race is finished. A spiritual legacy should be a clear record of a person's walk of faith, communicating that living for Jesus and being empowered by His grace is more than enough." All of Susan's books, courses, and blog posts relate to building a positive, powerful, spiritual legacy. Susan has been Pastor of Intercession at Father's House in Atascadero, California for over 35 years. She is the author of Help, I'm Stuck With These People for the Rest of Eternity: Christian Advice on Healthy Relationship Characteristics and Making Relationships Work and the Eternal Foundations for a New Generation series. Her blog, "Holy in the Daily," and her newsletter, "Building a Spiritual Legacy," provide fresh new ideas for improving your faith walk both now and for future generations. Coffee is her drink of choice in the morning and tea fulfills her addictions in the afternoon.